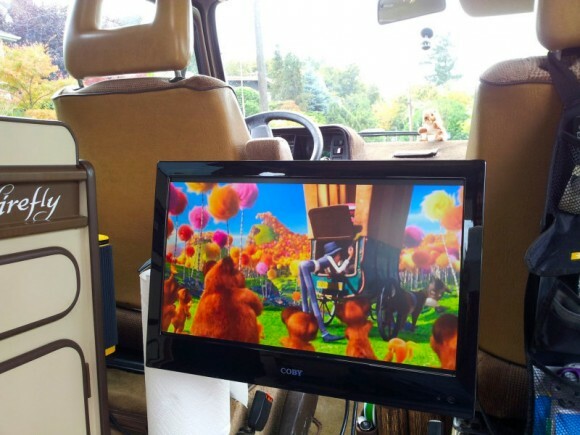 There is a lot of unused space under the Vanagon, and Peace Vans wants to make use of it. Peace Vans is a shop with some of their own nifty mods, and the undermount PV battery tray is a nice once. They craft a tray that holds a house battery and/or a starting battery. The tray hinges down for easy access. 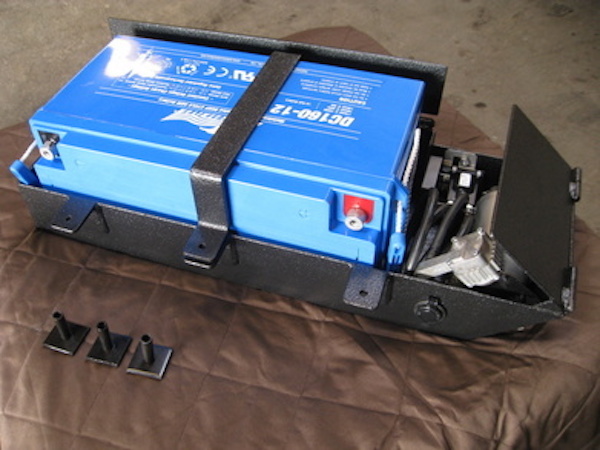 This tray allows you to get the battery out of the interior of the van. 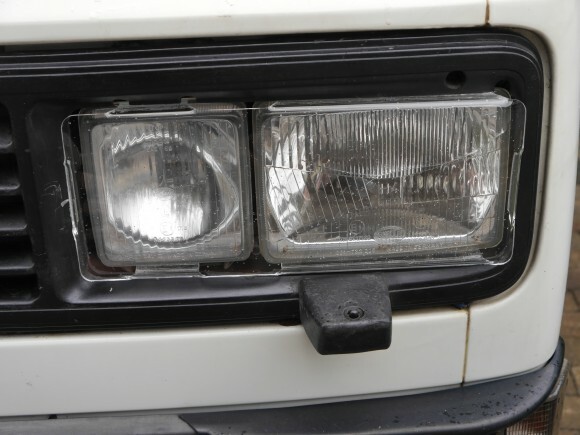 Click through to check it out. The folks at Wondrous World Tour Company have a pretty interesting video on how to secure your Vanagon. They go the extra mile in every regard as you can see with their front window security bars. This video is worth watching as these guys have some great tips for anyone who really needs tight security. Click through for the video. Some people like to see how low they can go. Others, want to go in the opposite direction. 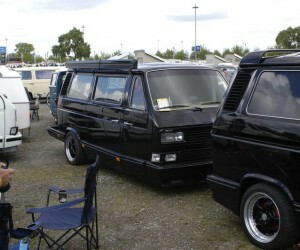 This Vanagon Syncro, see on The Samba, has a 35mm lift kit installed. 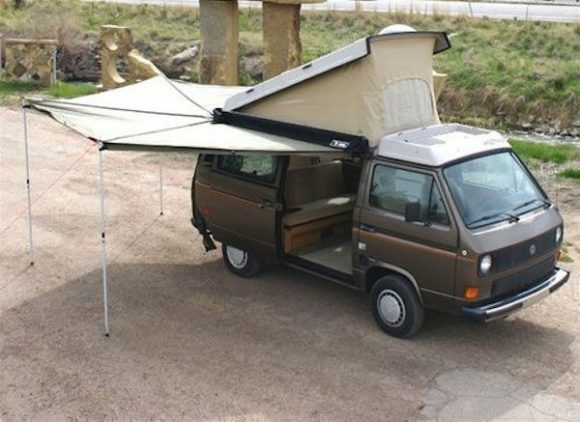 The kit was apparently purchased from Oberschlachter and it makes the Vanagon appear very high. 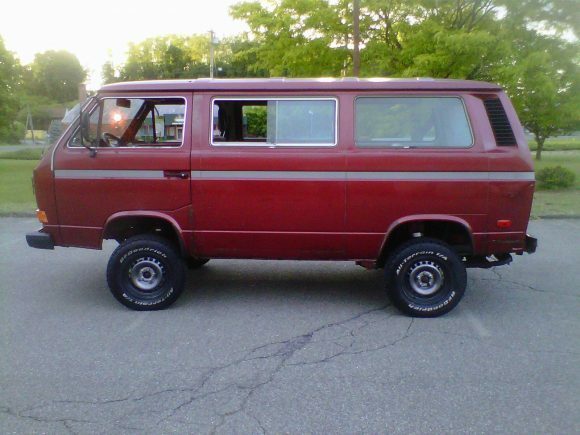 I would suggest it is in need of larger wheels and tires to match. 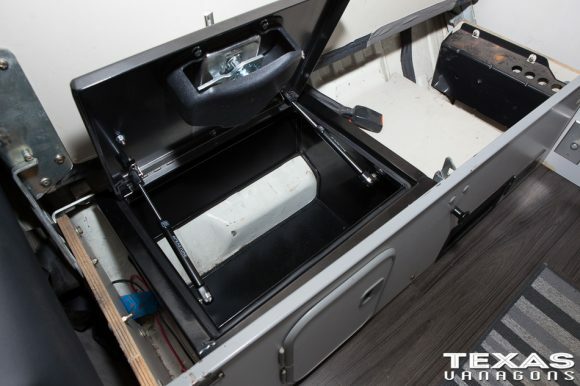 The folks over at Texas Vanagons created this bench seat lock box. It looks like a perfect fit, but it was quite a process. Head on over to Texas Vanagons to see a very detailed walk through of how they created this. It’s perfect! 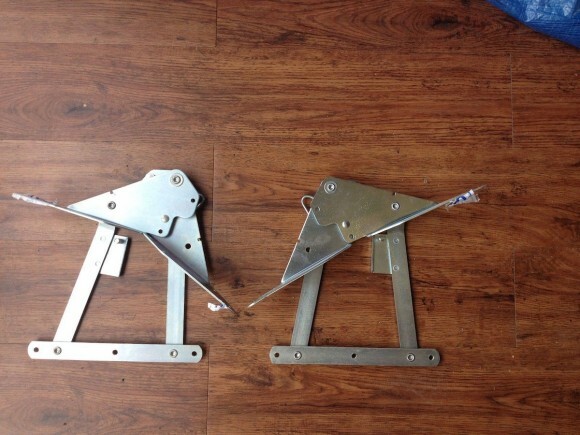 These rock and roll bed hinges are being offered on eBay for T25 camper owners who want to rebuild the bed. 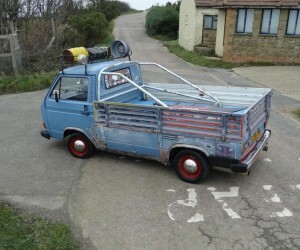 The listing says, “Camper van rock n roll bed hinges. 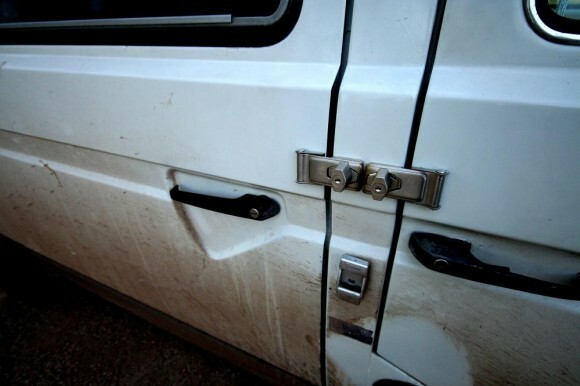 Quality Italian hinges designed for the use in camper vans. Can be used in either T2, T3 even T4 and T5. These are not westy copies like JK hinges. Brand new and in stock.” The link probably won’t be good for long, but have a look here. 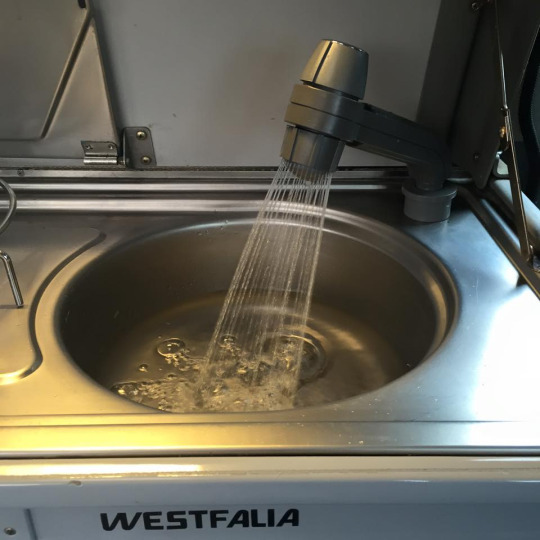 Here is a nifty idea from some experienced Vanagon travelers. 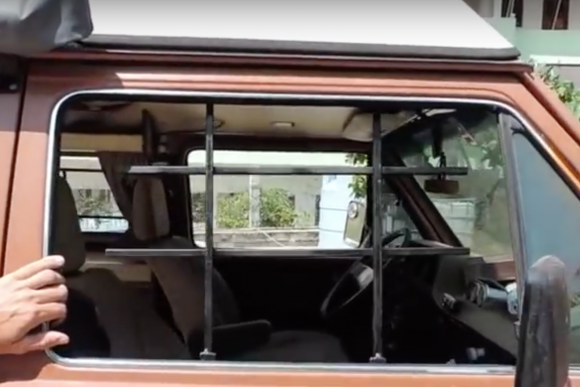 Add extra locks to the exterior of the Vanagon. It’s extreme for sure, but they were apparently victims of a random car bomb and take security seriously. This hack comes from the folks at Drive Nacho Drive which we have featured before. These locks come from Home Depot and provide an extra layer of protection against would be thieves.